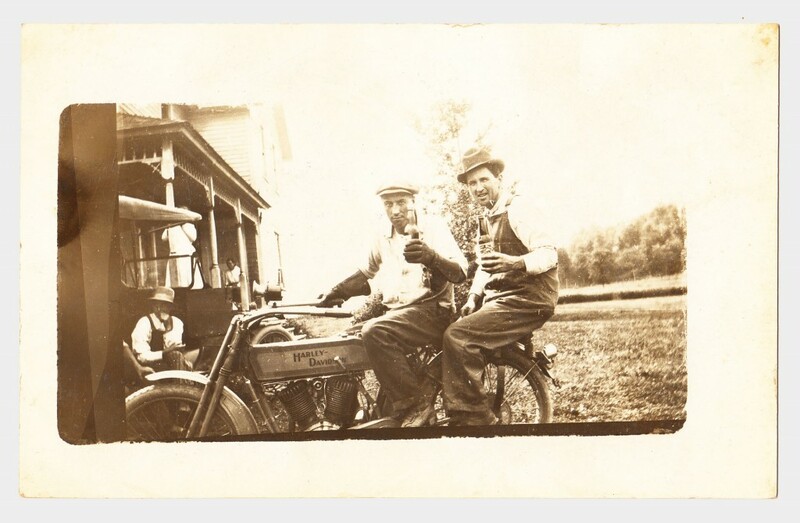 These jolly fellows are posing with an early model Harley Davidson motorcycle which predates the bar and shield logo and was made at the first factory in Milwaukee, Wisconsin before 1910. 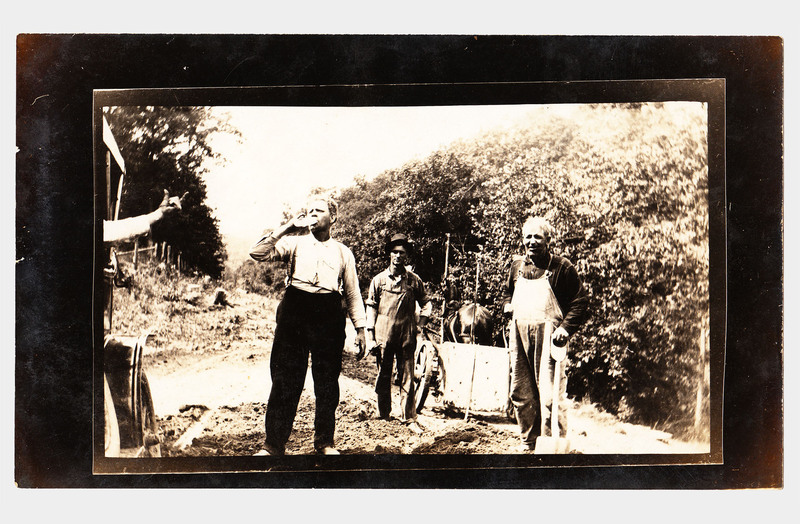 It appears these men were hard at work clearing the way for a future road. This is a steam-powered tractor connected to a thresher by a huge belt. I’m not sure of the exact make and model but it’s a beast of a machine. 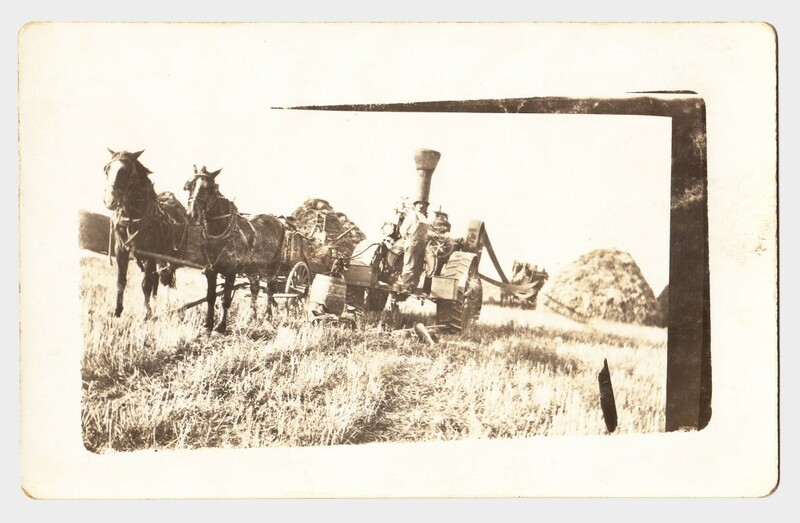 With a team of horses, men and a machine you can harvest tons! 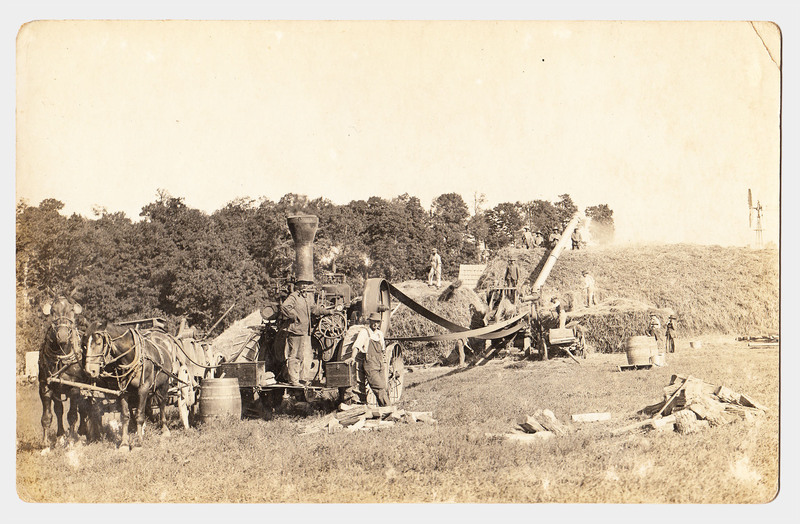 Here’s another photo of the same steam tractor and thresher implement. You can see the wood fuel on the field ready to feed into the boiler to keep it all running. 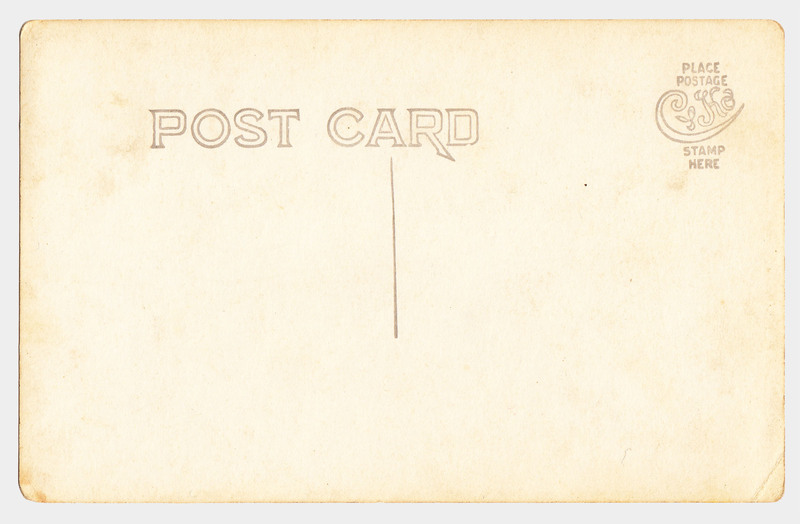 The previous postcards share a common back which are left blank but this last one was produced by another company. Likewise, the typography is drawn slightly different and there’s a logo in the position of where a postage stamp would be placed.